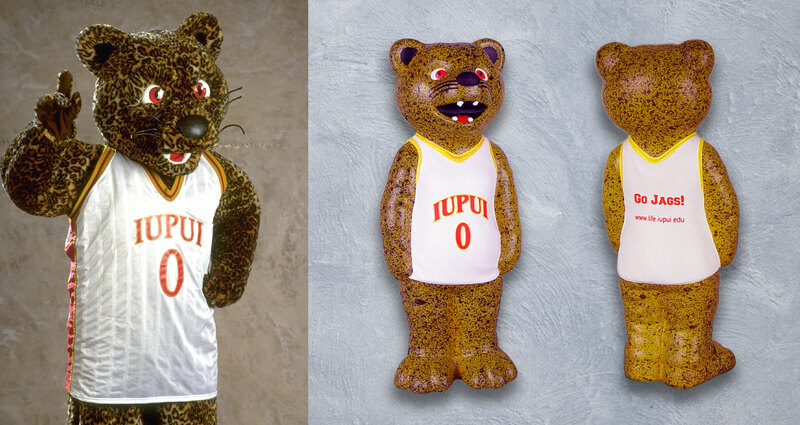 This stress reliever was a totally custom design to match IUPUI’s mascot Jinx. We started with the original photo and then worked to approve a pre-production sketch and mold. The finished stress reliever was carefully painted to accomplish the finished result.